Steve Sear, Delta Air Lines’ president for international and executive vice president for global sales, has visited South Korea 10 times in the past 18 months. 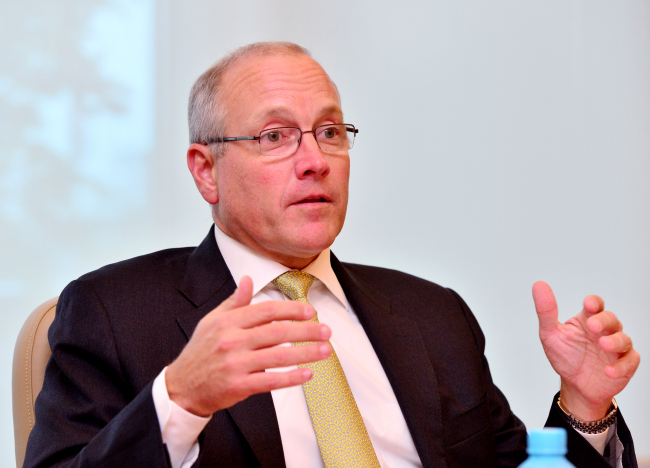 “Here’s like home away (from) home,” Sear told The Korea Herald as he sat down for an interview at Grand Hyatt Incheon. “The reason why I was here 10 times is that I knew how special and effective it (the joint venture) will be. It has already exceeded our expectation,” he said. The joint venture between Delta Air Lines and the country’s biggest carrier Korean Air was approved by regulatory authorities in the US and Korea in March. The trans-Pacific partnership connecting some 290 destinations in the US to 80 cities in Asia took effect from May 1. The joint venture began air freight service on July 17, transporting semiconductor equipment, fresh food and e-commerce products from the US to Asia, as well as smartphone and automobile equipment, electronics and semiconductors from Asia to the US. “It hasn’t even been three months (since the launch of the joint venture), but we felt we can provide significant benefits for our customers and employees through this joint venture,” Sear said. Prior to joining Delta, Sear held various leadership positions at Northwest Airlines, including vice president of sales and customer care, managing director of reservations, and Japan-based director of revenue management and distribution. “Korean Air already has the best network and great footprints around the world. I think it is a great feat for the US to come through Incheon. This will probably drive the need to have more frequency for the Korean network,” he said. For Delta Air Lines, the partnership with Korean Air is “a massive increase in our scope for our customers,” according to Sear. With the opening of Incheon Airport’s new Terminal 2 in January, which mainly serves Skyteam members such as Korean Air and Delta Air Lines, he said Delta is providing customers with improved elapsed connect time, shortened from 90 minutes down to 45 minutes. To provide customers with such efficiency, Delta has been investing in major gateways in the US as well. In June, Delta announced a plan for a $1.86 billion investment in Los Angeles International Airport, with an aim to position both the airline and the facility to accommodate future growth at the venue. Called the Delta Sky Way at LAX project, it is part of the company’s effort for updating and improving terminals and the Tom Bradley International Terminal at LAX. Sear said Delta is learning what drives Korean Air’s great performance in the industry and what their customers value. It is also ready to work together to share some of the features that Delta has for customers, such as in-flight services and diversity in seat options. Currently, Wi-Fi access is offered on nearly all Delta flights. 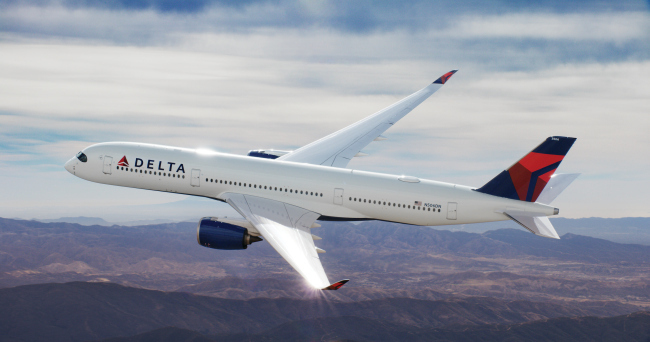 Delta is one of the largest providers of in-flight Wi-Fi in the world, with more than 1,100 enabled aircraft. Delta has also introduced a new seat plan called Basic Economy, which allows customers to experience the main cabin at a lower cost, in exchange for fewer amenities on selected flights, like receiving seat assignment after check in. Basic Economy has been introduced in the US, Europe, Latin America and some parts of Asia. “We want the customers’ satisfaction to be the best in the industry. Delta did very well domestically. We do well internationally, but I know we can do better,” he said.